FAYETTEVILLE, Ark. – The Arkansas softball team concluded it’s fall slate Sunday afternoon after facing a number of teams from the region that included Oklahoma, Tulsa, Missouri State, Butler CC and Crowder College. Sophomore Mary Haff started the second game of the doubleheader against the Sooners Sunday, pitching a complete game while allowing just two runs, and retiring 12-consecutive Sooners from the mid-second to the mid-sixth inning. The Razorbacks are entering the 2019 campaign with head coach Courtney Deifel at the helm for her fourth season. Arkansas reached new heights last season, earning the No. 13 overall national seed in last year’s NCAA Tournament that included a run to the NCAA Super Regional Round. Coming off of a 42-17 season, the Hogs return 15 letterwinners from last year’s team that advanced to the Southeastern Conference semifinals. Among its returners include NFCA all-region performers Mary Haff, Hannah McEwen and Katie Warrick. Arkansas’ 42 wins last season were the third-most in program history, most since 2000 and marked an 11-win increase from the previous season’s campaign. 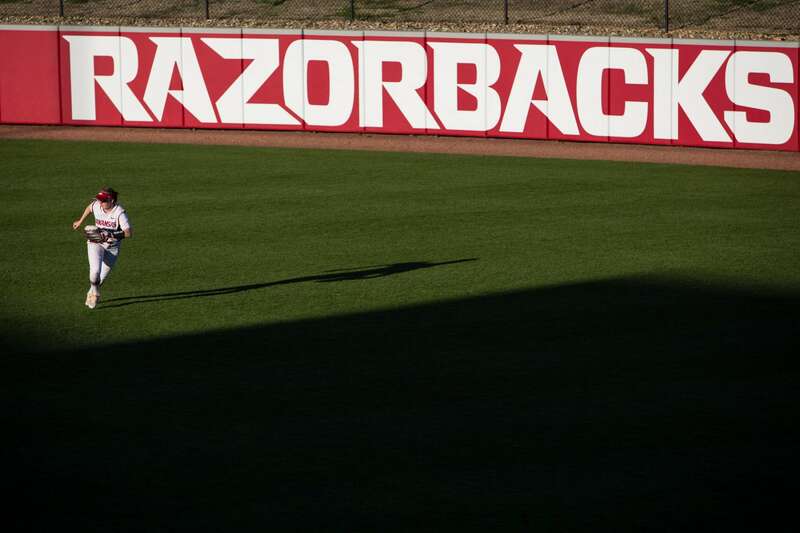 The Razorbacks will return to Bogle Park this February to begin its 2019 home slate, after posting a 27-2 record in front of the home crowd last season.